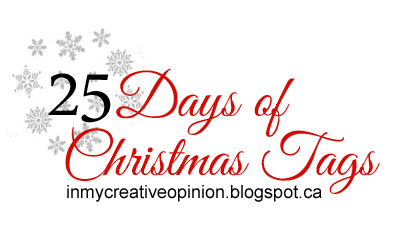 Welcome to the 7th Annual 25 Days of Christmas Tags! If you are new to the event you can click HERE too see the posts from the last 6 years or if you go to my Pinterest board (link on sidebar) you can see boards for each of the 6 past years, there is so much incredible inspiration there. 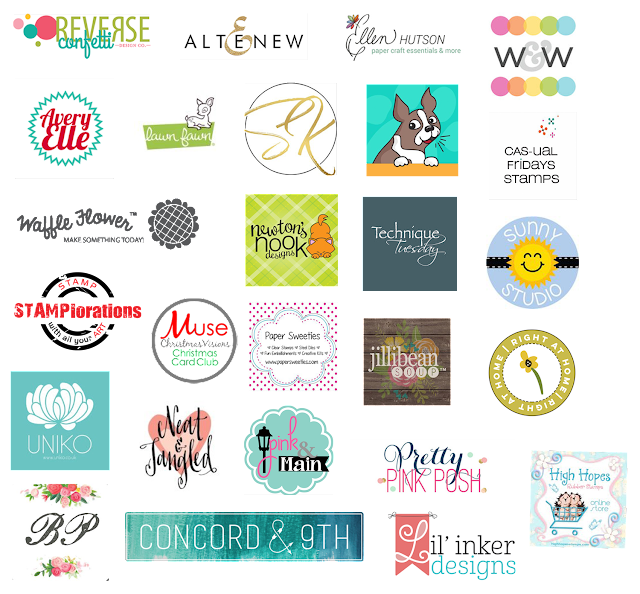 This year I am so excited to share that there are 26 sponsors for the blog event and their designers will be joining me as my guest for a day! Day 1 of the event officially starts on my blog today November 1st at 6:00 am (EST)! Comment on the posts each day on what you saw that inspires you. To keep is fair for everyone, only one comment per post please. You may however create as many tags as you would like as long as you follow the rules. The more you hop along and comment and the more you participate the more chances you have of winning! The link up is only on this post (at the bottom of the page). I will keep the link up open until one week after the event is over to give you time to finish up. The contest and linky will close December 1, 2017 at 12:00 am (EST)! Prizes will be announced on December 8th here on my blog. This looks like so much fun. I need to start making tags. I am ridiculously excited about this! I would love it if you did something similar with tags for Easter or maybe just birthdays in May? Just a thought! Yay! On with the fun! Yay for another fun event! Cannot wait to be inspired and create a few tags myself. Thanks for hosting, Tracey, and thanks to all the wonderful sponsors who are making this event even more fun! Looking forward to a fun month of inspiration! Wheee! Ready to soak up all the inspiration and run with it! Thanks for Continueing your 12 tags of Christmas Tracey!! where can I find the LINK to added the Tag after I made then..
Great event, However I don't see the linkup for those entering from their blog. Sounds so fun. I normally dom’t make tags, but may have to start. looking forward to all of the inspiration and I'll be going back to look at years gone by! Congrats on another year. Looks like a bunch of fun! Hello, tried many of the links from Nov 1 and many are not working. I would love to leave a comment on their lovely tags! Yay, its going to be a fun month. I love tags and I am excited to see everyone's Christmas tag creations! This looks like so much fun, I can't wait to play along! is it just your post for the 12 days. Soo much fun! This year I'm actually doing tags instead of cards for Christmas! I generally don't make tags, but I might make an exception this time....! Great event!!! So looking forward to the next 24 days and all the creativity and inspiration! What a fabulous idea! I will have to start creating some tags- thanks for the incentive and love all of the examples shared so far!! You are so amazing my friend! Looking forward to playing along! So fun. Looking forward to all the fantastic inspiration and getting creative making tags. I look forward to this every year. Looks like this year will be exceptional! Yay! Another fun start, so excited, looking forward to the inspirations! Inspiration abounds during this amazing event!!!! I am perticularly inspired by the simplistic beauty of Andreea Raghina’s tag and matching card!!! What a great way to start November!!!! Great fun :) I made the first time tag. Every year I'm blown away by your dedication to your tag-alicious event and the number of sponsors is growing, too! Hoping to add a tag or two to the gallery! This sounds fun. Hope to have time to participate. How fun!!! I'm new to this and hope to participate lots! Fantastic tags, look forward to this every year! You are an inspiration, and winning is just icing on the cake, because really it is fun to see all the different tags from all the stamp companies! Thank you Tracey! Yay!! Let's get this party started. This is one of my favorite holiday events. Such a fun event, Tracey! Thanks for hosting it again! Yay! It's beginning to feel a little like Christmas! Can't wait to participate!!! Thanks for this fun event, Tracey! Tracey, I am a HUGE tag fanatic (for ALL seasons & occasions) so I try not to miss this event each year. I am not one to link up and have no blog but that does not by any means, imply that I don't pin a lot of them or that I am not inspired. I am tremendously inspired by all that is shared here! Thanks so much for doing this each year, it has become one of my "must follow" events before Christmas! I've always wanted to play along but haven't had time until this year, so I hope to join in along the way with a few tags. Great event and amazing inspiration! Oh, I just loved this last year and can't wait to get home from my vacation to make some tags! I see some great inpiration already. I have loved following this in previous years!! Thanks again this year for providing us with so much inspiration! I never make tags. I don't even have a die for one, but I love what you've shown here. Your examples are a great inspiration to give tag-making a try! So glad I can join you this year...very excited. I must get started on this. I absolutely love this time of year and your 25 days of Christmas tags. Thanks for taking the time to organize this. It is much appreciated!! This sounds so interesting! Hopefully I will be able to make a few tags and participate. I will definitely follow the hop. Tracey, you are terrific to host this again this year!! I so enjoyed it last year and have been looking forward to seeing all the wonderful Christmas tags again this year!! I plan to head to my craft oasis and get into tag making mode after my nap! Looking forward to seeing what the designers create the rest of the month! TFS! I love this! I look forward to it every year. Do you have the pinterest board this year? Wow, so many fabulous tags. Can't believe how great some of these are. I think we all love tags as a break from the larger cards for a change of scale but also a chance to create a simpler mini-masterpiece. Found your site by accident, but it looks like so much fun. I love all the tags you and everyone else has submitted. I cant wait to see what inspires me. Probably the cute critters. This is going to be fun. I can hardly wait to see all the wonderful inspiration. I'm a little late to the party, but I'll try to catch up! So much inspiration already up! Yay for Christmas tags! Tracey: You've obviously put a lot of time, energy and love into this fabulous event. Thanks so much for all you've done (and are doing) to make this Hop possible. Paper Sweeties is so grateful to be included, and I as an individual participant as well. I'm gaining SO much fabulous inspiration, and enjoying seeing all the entries. You can quickly tell who puts thought into their tags. So much talent to be gleaned here. Thanks again, and I'm wishing a blessed holiday season to you (and everyone). What an awesome event. LOVE love Love this every year, your inspiration from all the sponsors is awesome, thank you for the all the work it goes to put this together! Such wonderful tags; so much inspiration. Such a challenging marathon is good, everyone will find a lot of inspiration. Thank you for this beautiful game. ATTN: Patchwork & Crafts... your tags are beyond wonderful, but I cannot for the life of me [and I even googled you] find your blog! Thank you so much for Tag-ing along with us at 25 Days of Christmas Tags!! I make all of my own Christmas tags and am so inspired by what I see so far! Getting a late start but I hope to participate as well. Thanks for motivating me to get crafting! This is the time of the year to be inspired by amazing designers and to create tags. 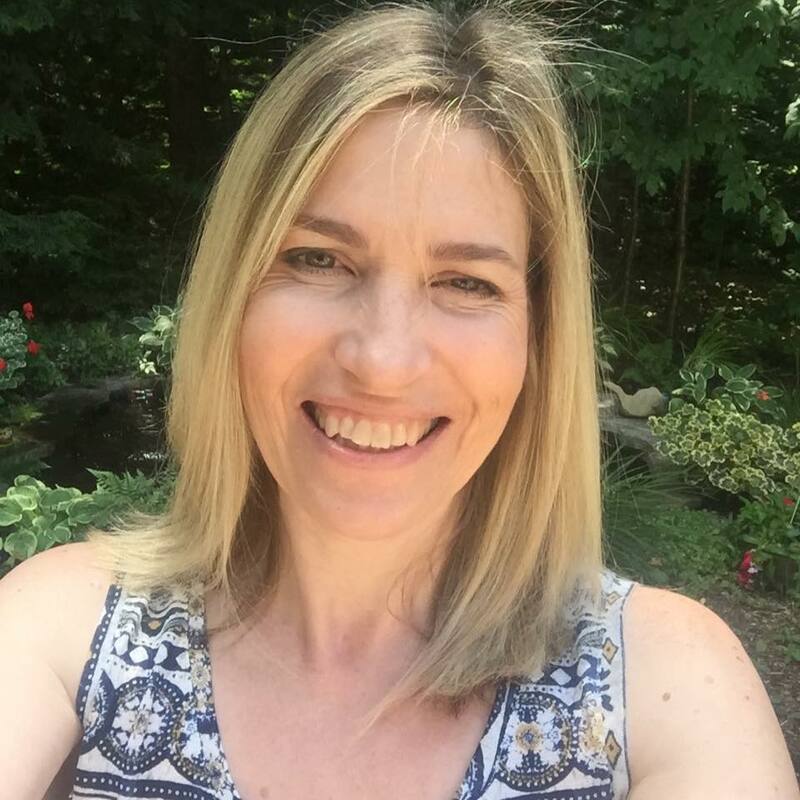 THANKS Tracey for hosting this link up! Another fun day of making tags...I chose Chriss's penguin tag as my inspiration. So much inspiration, so many generous sponsors! What a fun month this going to be. I’ve not really made any tags, but always love the ones I see. There’s so many fun and beautiful ones here. I have bought some Tag dies and hope to join the linky. luvin' all of the blues! Yeah--I did it before the deadline. I am new to Instagram so hopefully I did it correctly. I was inspired by Day 11 Erum's poinsettia tag. 25 Days of Christmas Tags Keeps Going!